Initially when I finally felt comfortable selling my junk online I went with the big name at the time which was eBay and back in the 90's and early 00's it all worked out well. Then craigslist came on the scene and a new way of selling items opened up. Both have their good points and both have some bad points. Through both websites you will get a better response by taking a picture of your item, so having access to a camera is best. Also I put bartering in the pro and con for craigslist since it can be great if you are comfortable with it or be scary to deal with and you sell it for lower than you wanted. Overall I have had both good and bad experiences as a seller and a buyer via Craigslist and eBay. - As a seller I have had a bad check sent to me; now I call the bank to see if funds are in the account before mailing off the item. I have also had buyers say they didn't receive what they bought. Sometimes I call their bluff and they don't fight me, other times I file insurance claims and give them a portion refund. - The best part is finding a hard to find item (older, out of stock) that isn't available at any garage sale. - As a buyer it has been frustrating to contact people who sold an item and didn't remove their listing or who list an item but don't give a picture or price unless you email them, it's an extra step that I don't care to make. - As a seller the most common issue are people not showing or calling at the last minute and wanting me to hold and item for another day when I have 12 other contacts. - I have met some wonderful people in the process of selling and buying, none have made me feel uneasy and the transaction went smoothly. 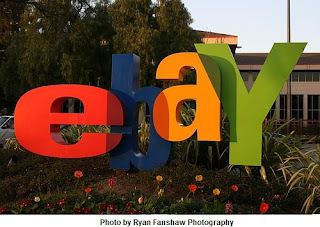 Ultimately, I find eBay is useful for small items, name brand clothes, new in package items and collectibles and Craigslist is useful for furniture, housewares, exercise equipment and other used items. What doesn't work after a few weeks on this sites is given away free via freecycle or ReUseIt. 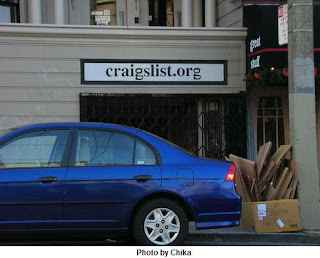 What are your experiences with eBay and Craigslist - both Good and Bad?